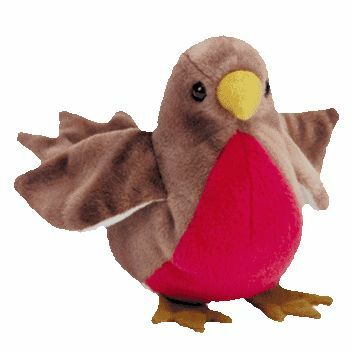 Early is made from a brown material with a bright red belly. He has black button eyes and an orange beak. His feet are also made from a brown material. This happy robin loves to sing! Early was released on 30th May 1998. His birthday is on 20th March 1997.